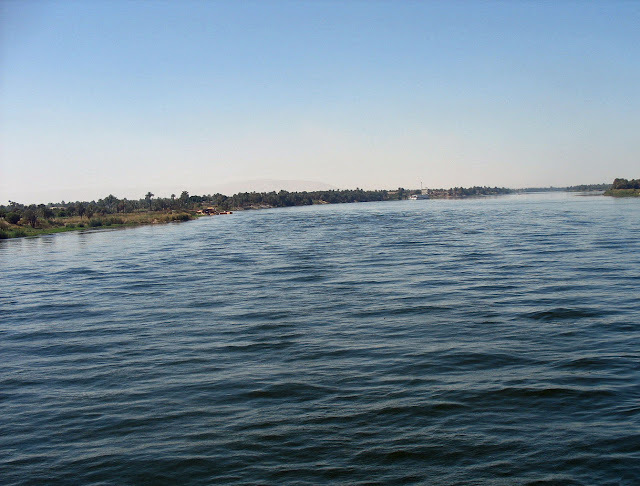 Here are four images of the river Nile and its large body of water. 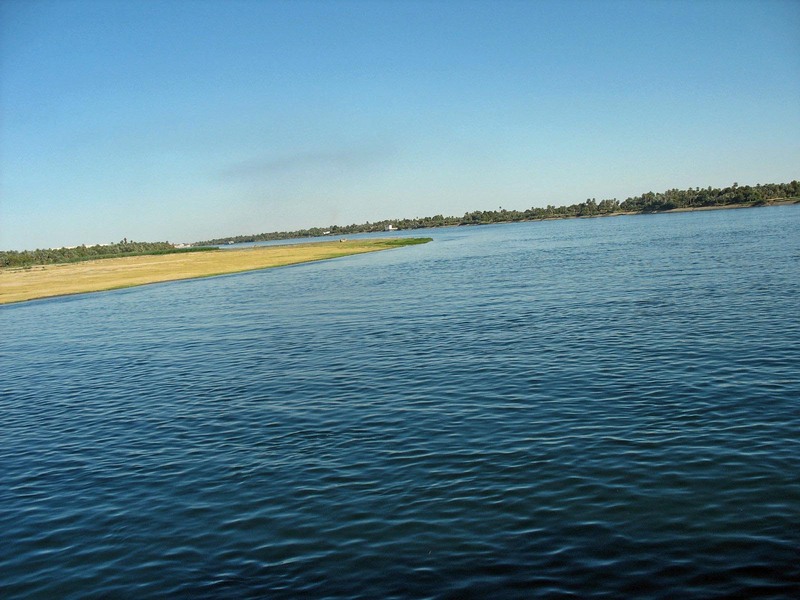 This river is considered to be the longest river in the world and flows northwards through Sudan and Egypt and ends at the Mediterranean Sea. It originates partly in equatorial East Africa and partly in Ethiopia. 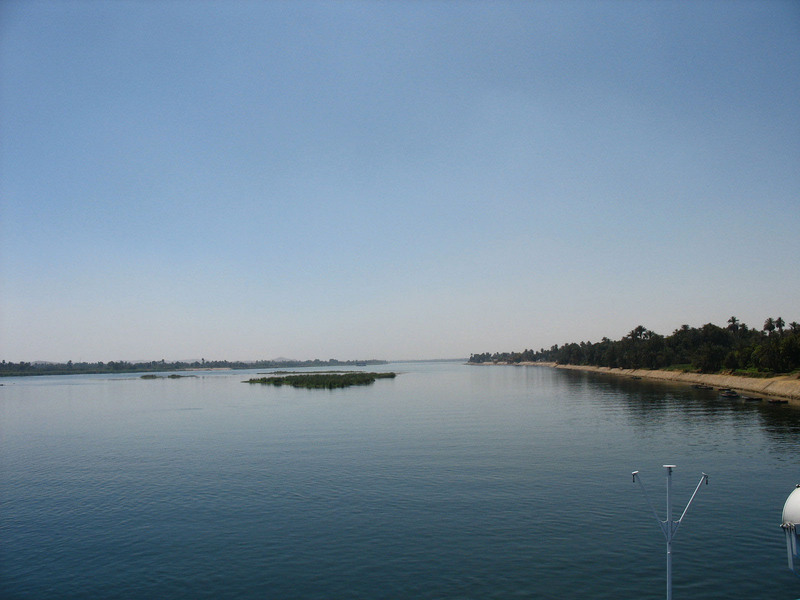 Most cities in Egypt are near the Nile banks, and so were all the ancient settlements. 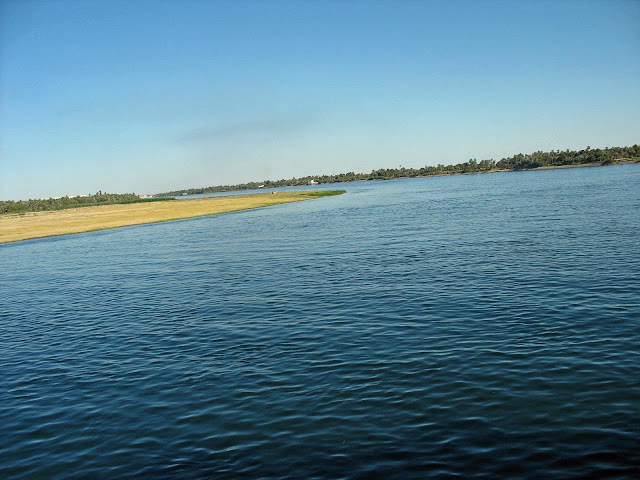 These photographs have been shot in Egypt while on a river cruise. 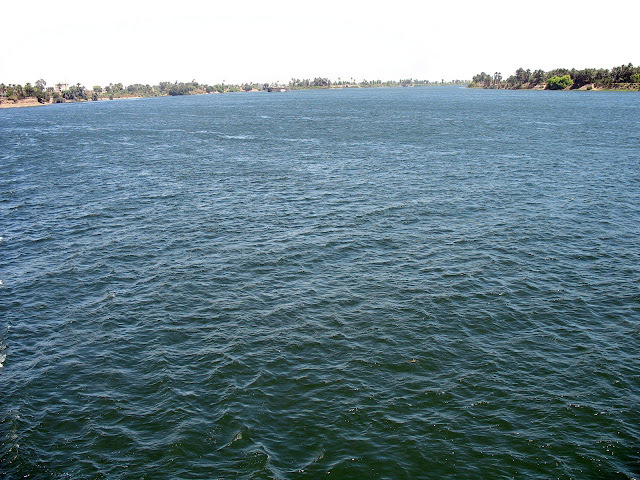 The first picture is a close-up of the waters of the Nile. The river is seen disappearing into the distance. It is a bright day and the glare makes the sky seem white and bright. This picture was shot a little later in the day and the river looks calm and serene. The waters seem to reflect the exact color of the sky. 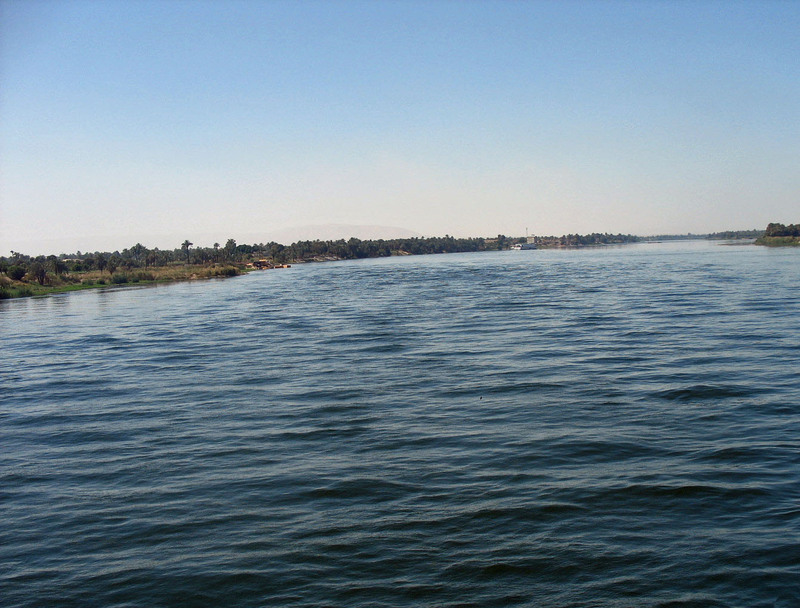 A small section of the bank of the Nile is visible to the right of the picture. This picture was also shot in the evening. The left of the image has the Nile bank. The vast expanse of the waters can be seen here. This picture shows the river curving towards the left. I liked the composition of this picture as well as the contrast between the yellow bank on the left and the green belt to the right. Related Images: Ancient culture of Egypt Temple and statues of Queen Hatshepsut of Egypt or the Esna Lock Photographs or the Nubian Village of Egypt or for more images of this country of important monuments like the Pyramids and other temples. try the label "Egypt"
Or check out the label "Rivers" where you will some rivers of India.